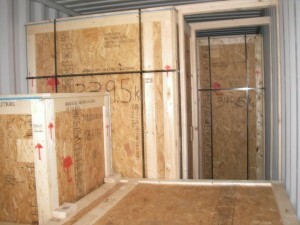 WoodCrate.net is a brand of Innovative Crating Solutions (ICS). Since 1986, ICS has been developing wooden crates, wooden boxes, custom wood crating solutions, and other crating services for businesses coming from all walks of life. Our team members are fully trained to handle any of your wood crating requirements. Our wooden crates have been used for things ranging from World Series trophy shipping to large animal displays. Innovative Crating Solutions is based out of Harleysville, PA. and handles shipments and orders from all across North America. Give us a call today if you are looking for a custom wood crate company.